She called the cops on me. By “she”, I mean the sweet mother of the other toddler at the playground. By me, I mean a socially anxious helicopter mom, who smiled at her earlier while my son was playing on the slide near her daughter, with me hovering nearby. 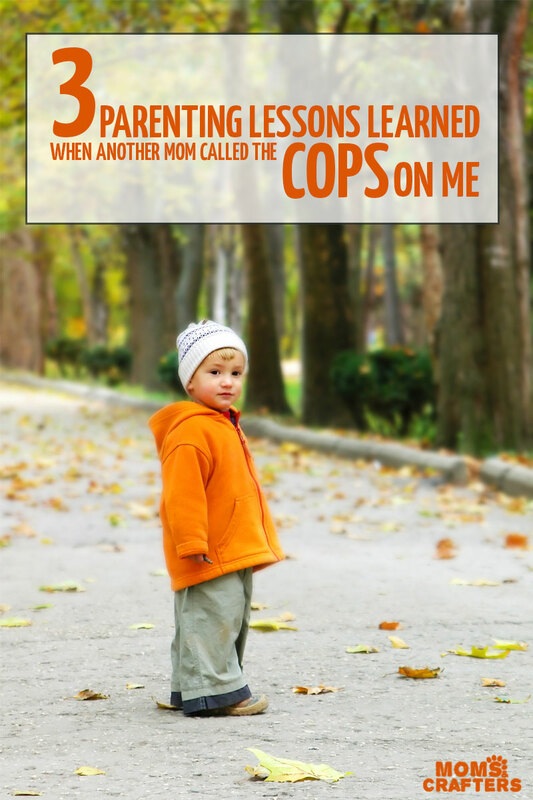 So what made her, a seemingly sweet fellow mom call the cops on me? I am a nervous mother. I tend to stand over my kids a bit too much. It stresses me out to take them out, but I’m working on it. This Saturday, my husband and I took the kids to our local playground for the first time in a while. It was very full, which gets me nervous. But it was mostly people we knew, which was reassuring too. While my husband sat and watched, out of the corner of his eye, chatting with a friend, I hovered over the kids. As I was helping my 22 month old up the steps and down the slide, I met this sweet woman with a child my age and I smiled at her. I went to get something from the stroller and my husband invited me to sit next to him at the park bench. My mind immediately traveled to 30 different scenarios, with my son falling and breaking a bone being the least of them. He could run into the street while a car is zipping by. Someone could take him. Someone we know might feed him something he’s allergic to… But I kept quiet and sat down. The second I sat down, Baby Y was out of the park and I chased him down quicker than I knew I could run. But I knew with my heart and soul that my excessive hovering is not good for my kids. They need to run. They need to play. They need the illusion of freedom. So I followed from a distance. And the entire time I worked on my anxiety. “They won’t be going far. I can keep an eye on them without hovering. They’ll be okay. They’ll be fine. They won’t be fine if I limit them”. I spoke to all my fears. I was struggling. I was working on myself. And I failed. I was sitting and talking with a friend, while watching Baby Y run around in big circles through the empty areas of the park, making new friends with all the big kids. M ran over to me and asked if he can go to a friend’s house. I stood up to find my husband and ask him what he thought, since we were supposed to be going home in a few minutes. I went over to the friend’s parent to confirm the invitation, and make sure that this wasn’t just the brainchild of the almost-six-year-old friend. It was, and the answer was no. And a second later I was asking “Where’s Baby Y?! !” Only a couple of minutes had passed from when I was sitting on the bench chatting. I didn’t see him. And then a moment later I did. He was with a few older kids – maybe ten years old or so, and they were talking to him. One of them was a child we know. I cracked up at how easily he makes friends… but then I realized something was wrong. One of the kids picked him up and started walking him towards us looking concerned. And then a woman from the community came over to us and told her that another woman, the same one that I had “met” at the slide had just brought him in from the street and was calling the police to report negligence. And then another woman, one that we know well, came and told us the same. And she suggested we leave the park and not wait for an encounter. We were planning on leaving then anyway, so we did. Oh, to describe to you the panic. I am human. I got distracted for a moment by my other child. I even said no to a situation that I felt wasn’t supervised enough! I was trying! Trying to overcome my fears, my natural tendencies, so that I can be a better mother for my kids. And here, I was proven wrong. Oh, how I’m going to hover the next time we go to the park! And I SWEAR there will be a next time. I was shaking the entire walk home. My son. He walked into the street. Something could have happened. Someone could have taken my sweet, sweet son. Okay, he’s more like the devil, but he is the love of my life. I could not survive without him. And that same woman that brought him back could easily have taken him. Or possibly worse, he could have been killed by a speeding car. He could have been hurt, hurt badly. All the worsts that can possibly happen rushed around my brain, fast, spinning in circles. And one of them did. She called the cops. She assumed negligence and called the police on me. We heard the sirens from a few blocks away. We weren’t running. We were just going home on schedule. I wasn’t guilty. I was just human. And yet I was terrified. I’m assuming that these cops get sanctimonious calls like this all the time. I mean, what did she tell them. “Parents weren’t watching kid, kid walked into the street”? Would the police do something about that if the parents are right there, had been watching, lapsed for a critical moment? Yet, in the same way that I had imagined every terrible scenario that might happen at the park, the thought of my child being taken from me and put into a system where so many souls are lost sent my brain spinning. Spinning with guilt. Spinning with regret. Spinning with self-judgement. So why’d she call the cops? She has a kid that age! She should know how easy it is for a perfectly good mother to lose sight! Okay, her daughter seemed to be a sweet little angel, a bit like my older child, not the monkey that is Baby Y. But still, why did she call? Don’t fellow moms know what it’s like? Don’t we have each other’s backs? I’d like to judge her favorably. I think she may have seen Y walking around for a while “on his own” with me watching from a safe distance, and wondered where this kid’s mom was. And when he went into the street, perhaps she thought that was proof that this baby was at the park himself. But I can’t. She called the cops on me. Me, the one who would never let anything happen to her child. Me, the mom who wouldn’t let her older son play at a home where the parent was sleeping; the mom who never, ever lets her kids out of sight when playing outdoors. She called the cops on me. I know I need to bring you all some sort of conclusion. I know that I can’t leave this hanging. And while I work through the shock of the situation and the anxiety it brought, I wanted to share with you a few lessons I learned. 1. I made a mistake. Yes, I know now that Baby Y still needs to be hovered over. If I had one hand on him, I wouldn’t forget that I was watching him, even with a small distraction, right? He’s not yet ready to not be hovered over. M, on the other hand, is ready for me to step back. I can learn to step back through him. When Baby Y is ready, I’ll step back there too. It’s hard to acknowledge our mistakes when they could have caused so much harm. Yet, there it was, an error in judgement. And it takes lots of self-reflection to acknowledge that an error in judgement does not make one a bad mother. A bad mother is one who doesn’t even bother judging because she doesn’t care. I was trying to do what’s best for my kids, and I chose the wrong one of two options. Here’s something I learned as a child. The ten people who were considered to have never sinned in Jewish tradition are NOT the leaders like Abraham and Moses. They were more obscure people. That’s because when you DO THINGS, you are more prone to making mistakes. When you do great things with your life you’ll make some errors of judgement along the way, you’ll take risks and make mistakes. And being a good mother is doing a very great thing. Pat yourselves on the back, mamas! 3. I can’t do it alone. There must be some sort of guardian angel assigned to each toddler to keep him or her alive. For real. As much as the above two points help me to some extent with some form of self-forgiveness, I still can’t live down the fact that a moment of distraction, a simple mistake, could have cost my child his life! I think back to a story from my hometown of a toddler who was playing outside, supervised, and in a moment when the mother was preoccupied, walked into the busy street and was killed. That could have been me. That could have been my baby. And while I now know the kind of supervision that Baby Y needs, I also know that we can only try. We need to acknowledge that once we’ve done what we can, we need to leave it in G-d’s hands. We need to pray that we make the right decisions. We need to do all that we physically can. And then we need to realize that we are human and there is Someone up there who’s protecting our babies. Mom life, Mom talk, Moms & Crafters, Toddlers. Bookmark. Sending you love! That woman was wrong to jump to conclusions and make a terrifying moment worse. It could have just as easily been her kid. Us mamas are supposed to support each other. Thanks, Mati! It totally could have been her kid. I hope she never has the chance to learn – I truly wish her the best. Even when you are right there they can get away. My toddler was in the change room with me, slipped under the door and was gone before I could stop him. I quickly dressed and ran out of the change room and he was no where in sight. You are right guardian angels watch them for those times when life happens and as parents we must remember life happens and try not to judge. No parent knowingly puts their child in danger but we all have lapses and life happens. So thankful your little one is safe. Moira, you are absolutely right. We need to try our best and then pray. That sounds so so so scary, not being able to give quick chase. Hang in there, Mom. Everyone makes mistakes. Kids get away quick. Try to forgive the lady and yourself and keep moving. Trying your best is all you can do. My slip of taking my eyes off my toddler for a few seconds while grocery shopping taught me. It continued with me chasing him out the door of grocery store, across the drive in front of store. Then down a parking lane full of parked cars. Luckily for him and me he turned right continued a lane toward the shopping entrance. The three cars turning in off a major road saw this little tow-head in an orange jogging suit, with a frantic Mother chasing him and screaming stop Stephen. They all stopped. If he had gone straight in the parking lane he would have reached highway US #19. God was with us when he wasn’t hit coming running out those automatic doors and into that busy two lanes. I could only reach his hood and drag him down to the pavement. I managed to pick him up, carry him to my car , sobbing all the while. I fastened him into his car seat and sat there sobbing. A cart boy tapped on my window and offered me help. I asked him to put my groceries back as I had to go home. ( My helpful Mother and daughter only informed me that if I was looking for a little boy, he had just ran out those automatic doors. While they watched him go.) I know it was my fault, my mistake, but I wished I had time to offer that mother a few not so kind words. Since that day my son who is a healthy almost 40 year old, and his fours nieces, my grand daughters, were never allowed out of a shopping cart or stroller until they were in a safe secured place. My lesson was one I never forgot. I hope your guilt and nightmares don’t follow you forever. We all make mistakes and even “good” Moms make a few and wish we hadn’t. I am one Mom/Grandma that will stop a toddler headed for harm or a parent neglecting a child. Keep those eyes on them as long as you can. I still do at 48, 39, 31, 24, and 6 years old. They say let us grow up. Lol. Wow, Savona, that sounds like a nightmare! Toddlers are so scary. This is what’s wrong with the world. (Ok, that may be an overstatement…) But, seriously. Every single one of us wants a “village,” but apparently too many aren’t willing to be the village. How would this have been different if that woman actually thought through the potential consequences of her actions? I can’t believe that she felt that this 5 seconds would be worth having a child taken from his family and his home, even if it was temporary. What if she had redirected him back to you? What if she had helped him find you? What if she had said, “Mama, we all get tired or overwhelmed – do you need a break for a few minutes? I could watch your little one.” What if she had done anything other than just passing the buck to police who are already overworked and underpaid? Brene Brown quotes from Teddy Roosevelt – it’s long, so I apologize… “It is not the critic who counts; not the man who points out how the strong man stumbles, or where the doer of deeds could have done them better. The credit belongs to the man who is actually in the arena, whose face is marred by dust and sweat and blood; who strives valiantly; who errs, who comes short again and again, because there is no effort without error and shortcoming; but who does actually strive to do the deeds; who knows great enthusiasms, the great devotions; who spends himself in a worthy cause; who at the best knows in the end the triumph of high achievement, and who at the worst, if he fails, at least fails while daring greatly, so that his place shall never be with those cold and timid souls who neither know victory nor defeat.” So I wouldn’t worry about your “critic” who didn’t have any skin in the game. Your “critic” who couldn’t be bothered to even speak to you or attempt to help another mama isn’t worth listening to. 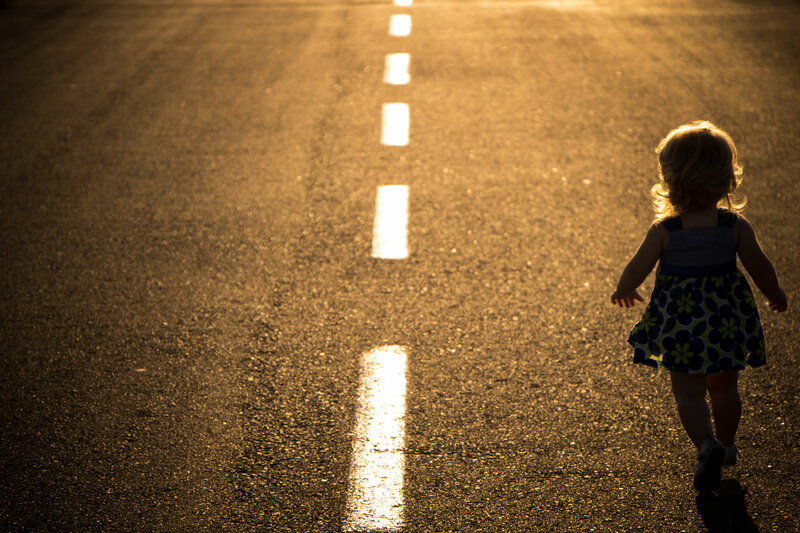 You are the strong mama who stumbled, the doer of deeds who maybe could have done them better. At least in my opinion, hers is the cold and timid soul. Karen, you hit the nail on the head. I did make a mistake and I don’t deny it. I’m not looking for people to tell me that I didn’t. And that is the biggest lesson a parent can learn. Whenever I hear people calling the police on parents I am shocked – it takes a LOT for the system to be better than a mistake a parent made. 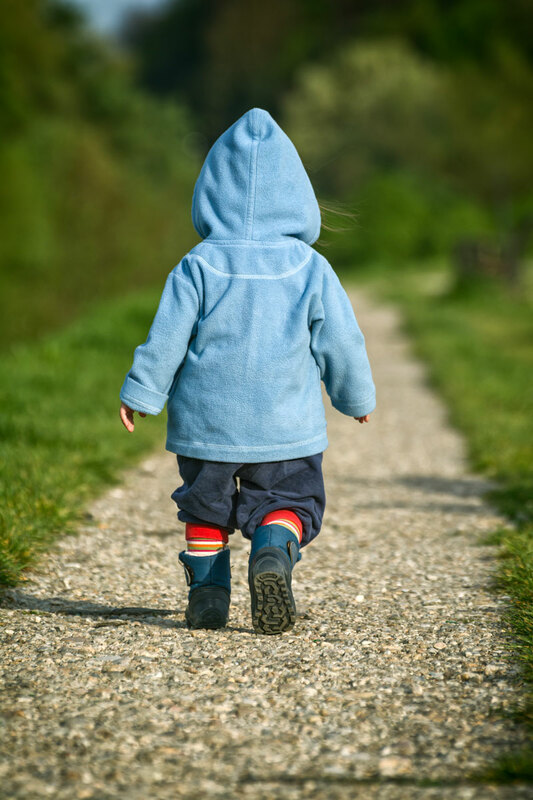 And most mistakes will not be repeated – even if a child does find a nice loving home (never mind the repercussions and trauma that the transition can cause) you’ll be putting them with another human being who will be starting from scratch without having made those mistakes with this child. If only people were more loving, helping. I’d even have taken an earful from this women but to call the police? Wow. I totally sympathize with the indignance, fear and horror. I’ve had a few of those moments too. Like when I was assigned a social worker (!). I know, every divorcing couple who have any degree of disagreement regarding custody get assigned a social worker.. But me! It was a shaking, wrenching experience. I’m just sorry I can’t say that parents in the US are usually less trigger-happy. They’re not. I would suggest finding a playground with a fence and leaving your husband at home. There is no reason why you should leave your less than two-year-old alone to have a conversation that your husband could’ve had. You’re not a helicopter mom. If you were hovering over the FIVE-year-old, that would be helicopter-y. But next time, maybe pick up the two year old and take him with you to talk to the other parent while your husband rests his weary bones on the park bench. And I’ll go ahead and leave my name since I’m not ashamed of my comment, Ms. Doe. I get a kick out of the fact this comment was left behind the veil of the name Jane Doe. There is no such thing as watching your child all the time. Parents who call the cops on other parents in contexts like these are doing more damage to society than the most free-range parents (there are stats to coroborate this). Scraped knees and bumps and bruises are part of childhood. I’m so sorry this happened to you but know you’re a wonderful mom. As a mother of four and a grandmother, hover as much as you like! There are nasty people out there and the world isn’t becoming a better place. At least if you’re right there you can protect, reassure, calm and monitor you’r children. At the end of the day you will know you have done your best and they will remember your love.